You would look like a diva and feel like a princess when you dress yourself in this grey floor length anarkali suit. This semi stitched suit made out of faux georgette fabric is decorated with heavy zari embroidery and patch work border. 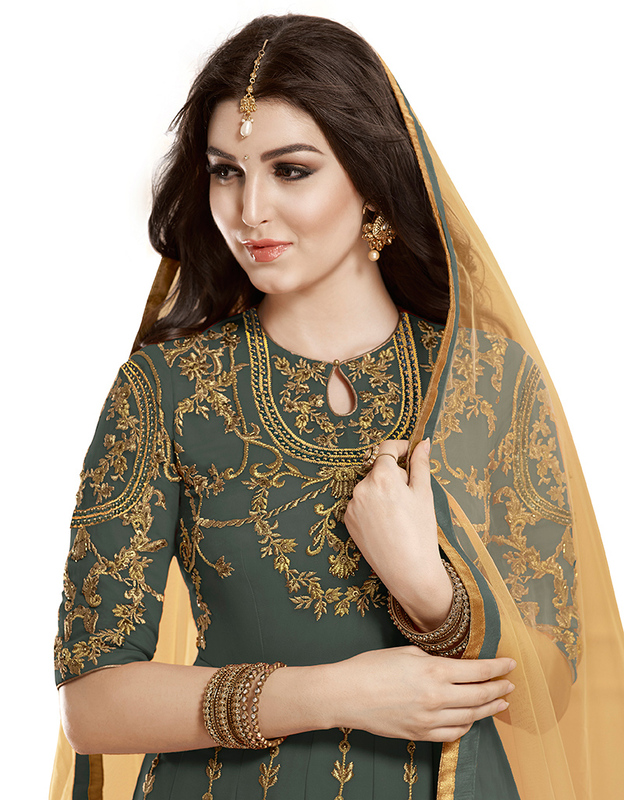 Paired with santoon fabric bottom and soft net lace border work dupatta. You can wear this outfit for friend's wedding functions or cousin's engagement ceremony. Team this outfit with fashionable accessories for additional attraction.